Results for Product Code "ST2000LM007"
13 in stockOrder now to lock in this price! Huge 1 TB and 2 TB capacities in a thin 7mm lightweight design, the Seagate® Mobile HDD stores up to 200,000 photos, 250,000 songs or 124 hours of high definition video.1 The Mobile HDD has some of the most advanced features and one of the best $/TB and $/mm available. All backed by a 2-year limited warranty. 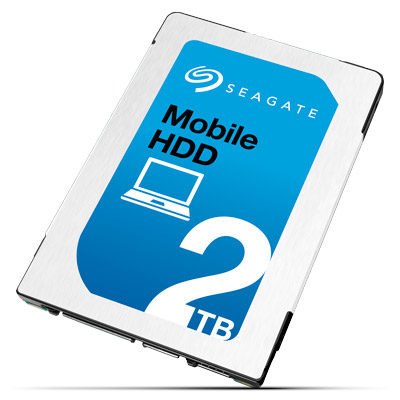 The Mobile HDD works with SATA 6 Gb/s and SATA 3 Gb/s designs. A slim, high-performance HDD which integrates easily. 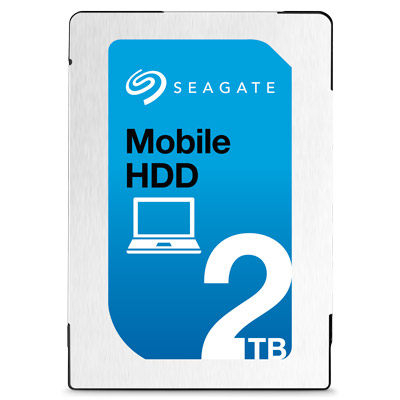 With an incredible 1 TB per disk, the Mobile HDD enables the highest areal density in a 7mm small form factor. The drive additionally performs operations very quietly and has industry-leading shock resistance. Looking for dependable and secure data encryption? 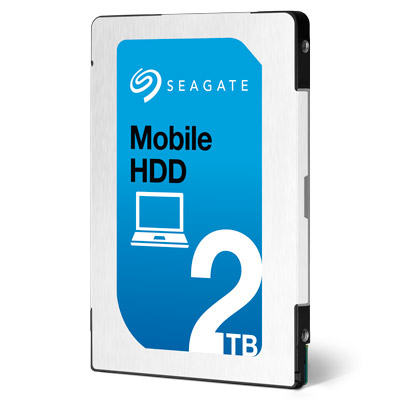 The Mobile HDD has Self-Encrypting Drive (SED) and FIPS 140-2 SED models available in the same 7mm design.